It’s no secret that more people than ever are cutting the cable cord. With the advent of devices such as the Roku, Amazon Fire Stick, and Chrome Stick, there are more ways to watch television than from traditional satellite and cable providers. Rather than paying for dozens of unused channels, consumers today have the option of buying access to the channels that mean the most to them without paying premium prices for channels they never use. There are so many options that it can be daunting when trying to decide which one to choose. For soccer fans, the decision is further complicated by the access to soccer matches that the streaming service provides. If only there was a streaming service made specifically for us soccer fans…where is the best place to watch soccer-soccer streaming? Fubo TV is exactly what you’ve been looking for. Many streaming services make soccer programming an afterthought. Fubo TV, on the other hand, began with a focus on streaming soccer and has just recently expanded its services to other forms of entertainment. Right now, is the best time to get this service because it’s cheaper now than it will ever be, and it will only get better…and the best part is…there is a 7-day free trail…try before you buy kind of thing. Obviously, for soccer fans, one of the most important factors of a streaming service is whether or not the service will allow them to watch a wide variety of live matches. Nevertheless, most people don’t only watch soccer day and night. Even if there is one person in a household who loves the beautiful game more than any other form of entertainment, most families include multiple members who may or may not be huge soccer fans. Fubo TV now includes major channels such as A&E, Lifetime, Bravo, Sprout, and Syfy. Other sports are also represented with channels such as Big 10 Network, Fox College Sports, and NBA TV. Also for soccer fans, GOLTV, LIGA Portugal, Bein Sports, to name a few. This service is cheaper now than it will ever be because it’s still in the beta phase. 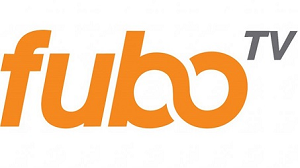 For a limited time, fubo Premier costs $34.99 a month for 52+ channels, which includes direct access to al beIN Connect channels, and some regional channels at no extra cost; however, Fubo TV has already announced that the final phase of the service will cost $49.99 per month. This means that it is in the second phase of testing where the product is rolled out to consumers. People who buy the service now will have the opportunity to give their input on how it can be improved. Consumer suggestions will be used to make the final version of the service even better. The streaming service already has tools that make it superior to competitors. Other packages includes fubo Portugues, which is $19.99 and fubo Latino at $14.99 per month. To make the service more easily navigable, it features its own TV guide for easy channel surfing much like many traditional television providers offer. Right now, there are very few services that offer as many soccer channels as Fubo TV. This is key because most soccer fans want to watch several leagues. On Fubo TV you can watch any league…Europa, Champions League, La Liga, Premier League, Serie A, Bundesliga, MLS, Ligue 1, Liga MX, to name a few. 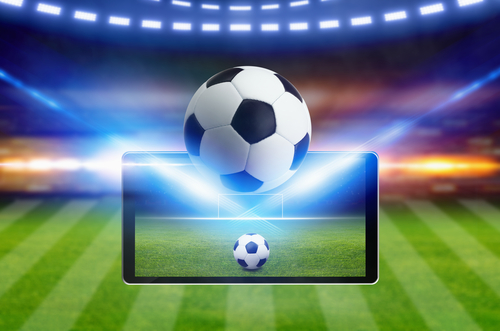 Whether watching from a traditional TV provider or through a streaming service, many options force consumers to buy packages, such as an NBC sports package on TV or subscribing to the MLS channel on Roku, for each league they want to watch. Fubo TV includes a wide variety of channels that encompasses many of the packages available. Fubo TV is available on any device that can stream. This service is cheaper than the average cable bill (trust me I know, my cable bill was insane), and it has enough channels to reasonably replace cable. The channels it includes can definitely appease an entire family, whether they are soccer fans or not. The days of paying premium prices just to watch soccer are over! Please feel free to tell us about your experience with Fubo TV, or ask any questions about the service. How do you stream your games? We welcome your feedback. Good information, thank you. I stay in Thailand and look forward to check fuboTV. Thanks for the comment. Fubo TV is that in Thailand yet. But I’m sure it will be coming your way soon. Nice information. I am one that is getting really tired of the prices of cable and alternatives seem to be the way to go. I am looking at Fubo TV and others. I will keep my eyes open. Thank you for the information. Thanks for visiting. Cable can be a bit pricey. You can watch many of your programs on Fubo TV. Fubo TV sounds awesome. Thanks for the great recommendation. I didn’t know there were streaming services that focused on soccer alone. This is a great find, especially since cable bills can get pricey. Thank you!